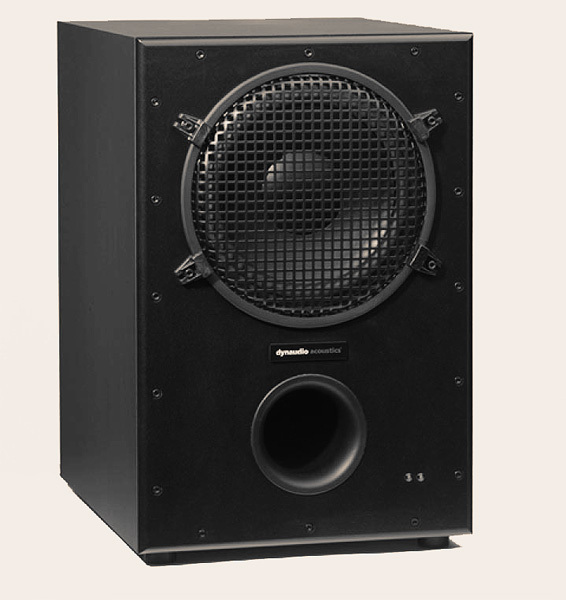 The BX30 Subwoofer has been specially designed to compliment various near-field monitors in both stereo and 5.1 setups. Being very versatile, multiple BX30’s will compliment larger 5.1 setups, (consisting of for example five M1.5’s), providing a very powerful system for your 5.1 studio. 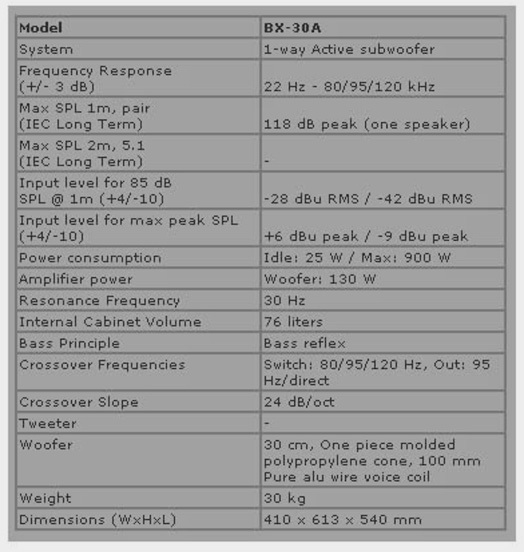 The BX30 is equipped with a 305mm woofer in a ported cabinet. Dynaudio leading edge technology allows tuning of the bass driver and cabinet providing an incredible increase of energy in the lowest frequency range. The motor of the driver is a huge 102mm voice coil in combination with an extended magnet system. The amplifier construction is especially designed to get maximum energy from the woofer. The BX30 has electronically balanced stereo Inputs and Outputs on 3 pin XLR connectors. The internal filtering is user selectable. To optimize the bass performance in combination with the main speakers, the phase is continuously adjustable from 0º to 360º. Using the special utility In/Output several subs can be connected parallel.